Guy Reed bought the somewhat neglected Nidd Hall Estate from Viscount Mountgarret in the mid sixties, having sold his main company (a forerunner to Buxted Chickens). 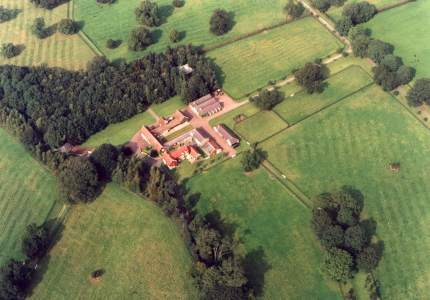 Home Farm on the estate was developed into the main stud buildings and the parkland surrounding the hall was laid out as paddocks. In addition 'Stable Block' immediately adjacent to the Hall was also utilised mainly for visiting mares, and also for weaned foals and and yearlings, whilst Home Farm housed the stallion, Reed's own mares and their young foals. In addition some of the weaned foals were sent to Guy Reed's home at Copgrove Hall (the Hall at Nidd being used as his offices). Horses out of training were also initially sent to Copgrove, to prevent the spread of disease. Foundation mare Ardneasken was bought for 14,000 guineas at the 1968 December Sales from the Brook Stud and the foal she was carrying at that time was, the following year, the first foal ever born at Nidd Hall Stud. This foal by Sovereign Path was to be named Warpath, the first of Guy Reed's good horses descending from this winning mare, who was by Right Royal V and from the family of Jacinth and Humble Duty. The operation certainly grew quickly as by 1975 he had 26 mares based at Nidd. Earlier in 1968 the soon to be famous Reed pink, black and gold checked colours were seen for the first time on the racecourse with the Sam Hall trained filly Yours Sincerely. Reed together with Hall and two other owners in the yard owned the impressive Spigot Lodge stables and, upon Hall's death, Reed became the outright owner of the property, which was home, until December 2000, of Hall's former assistant, and Reed's principal trainer, Chris Thornton. The property was then sold to Karl Burke, although Reed continued to have horses in training with Thornton as well as with Barry Hills for a number of years before switching to Kevin Ryan, Alan Swinbank and, in France, Andre Fabre. Warpath didn't win in his first season, but at three he won the Scottish & Newcastle Breweries Handicap beating not only Ginerva (unbelivably later to win the Oaks) but also the track record. Later that year he won the Extel Handicap at Goodwood and also finished third in the Cumberland Lodge Stakes. The next year he finished third in Royal Ascot's Prince of Wales's Stakes and also won the Doonside Cup at Ayr, which is Guy Reed's favourite racecourse along with York. Retired to stand at Nidd Hall for a fee of £1,000 he proceeded to sire numerous winners, the best of which was probably Guy Reed's homebred Shotgun, trained by Thornton. This colt won twice at two and then the Heathorn Stakes L at Newmarket on his reapperance. This was followed by sterling performances in the Dante Stakes (second) and the Epsom Derby (fourth behind Shergar). Amongst Warphath's other good winners were Path of Peace who won the November Handicap and Bogside Cup for Chris Thornton and the useful Italian stayer Celio Rufo (Gran Premio d'Italia G1, Italian St Leger G2, Premio Cascine G3). Warpath was a prolific sire of winners under both rules, winning the TBA (Thoroughbred Breeders Association) Horse & Hound Cup for the most steeplechase winners in a season by a British sire, in both 1984 and 1985. At this time Guy Reed had around forty mares at Nidd and the majority of these went to Warpath with the progeny usually ended up at Spigot Lodge. You can see from this that Guy Reed was one of the largest owner-breeders in the country at this time. Warpath died on the same day in May 1987 as long standing stud groom Jack Dobson was buried. Meanwhile Ardneasken's third foal was the top class colt Dakota, an unpredictable sort of a horse who was a 'difficult' ride, and gained a infamous Timeform 'squiggle' for his efforts. A better racehorse than his half brother Warpath (but not as well bred being by the National Stud failure Stupendous) Dakota chalked up wins in the St.Simon Stakes G3, The Ebor Handicap and the King George V Stakes at Royal Ascot as well as finishing third in the Jockey Club Stakes G2, but his his best result was probably when fourth in the King George VI & Queen Elizabeth II Diamond Stakes, also at Ascot, beating the likes of Youth, Malacate and Ashmore. Like his brother he was also placed in the Cumberland Lodge Stakes - coming second. Dakota was sold, aged five, for 42,000gns at the 1976 December Sales, bought to stand at stud in Poland he later became champion sire there. In all Ardneasken foaled nine winners from thirteen foals, also including Shoshoni (Royal Caledonian Hunt Cup) with most of the daughters producing numerous winners themselves. She died aged twenty-four in 1988. The most prolific daughter at stud (so far) has been Siouan (1975 f by So Blessed) who produced Guy Reed's next decent homebred the Great Nephew colt Apache. Foaled in 1985 Apache manged at win at Hamilton as a two year old. The next season he won first time out in a handicap at Haydock and followed this up with a third in the Esher Cup. After two disappointing runs in important handicaps (Duke of Cambridgeshire and Magnet Cup) he then won the Bell Ringer Handicap at Ripon and, two weeks later, the Chesterfield Cup at Goodwood, Reed having turned down an offer from Hamdan Al-Maktoum for Apace to act as lead horse and pacemaker for Unfuwain. Placed at York and Ayr he then gained his first black type success in the Godolphin Stakes L at headquarters and finished the season with a fine second in the St.Simon Stakes G3. Apache started 1989 with a disqualification at Doncaster before coming 3rd in the John Porter Stakes G3 and then won another listed race at Newmarket, this time the Fred Archer Stakes L. A second in the Geoffrey Freer Stakes G2 was followed by a second in the Grand Prix de Deauville G2 and a third in the Prix Foy G2. Apache won 6 races and £92,09 before eventually being sold to race in Saudi Arabia. Apache's half brother Tomahawk won a good hurdler, winning the Lanazarote Handicap after being sold by Reed. Having started to develop a new stud just down the road at his home at Copgrove Guy Reed sold most of Nidd Hall Stud in April 1987 to the Hon. Ian Matthews, who used the name Nidd Park Stud. Two years before this Daniel Wildenstein had started to board some of his yearlings at the stud. The Hall itself was sold to a hotel group in 1988. Reed initially retained about 70 acres at Nidd whilst Copgrove was being completed, these paddocks were eventually sold off in 1989, the yearling fillies belonging to Wildenstein having moved with Reed. In 1987 Ian Matthews was a successful Newmarket trainer in only his second season but eventually retired two years later to assist his father, the multi millionaire tax exile Lord Matthews (of the Daily Express and Trafalgar House, who died in December 1995), in a newly acquired business. 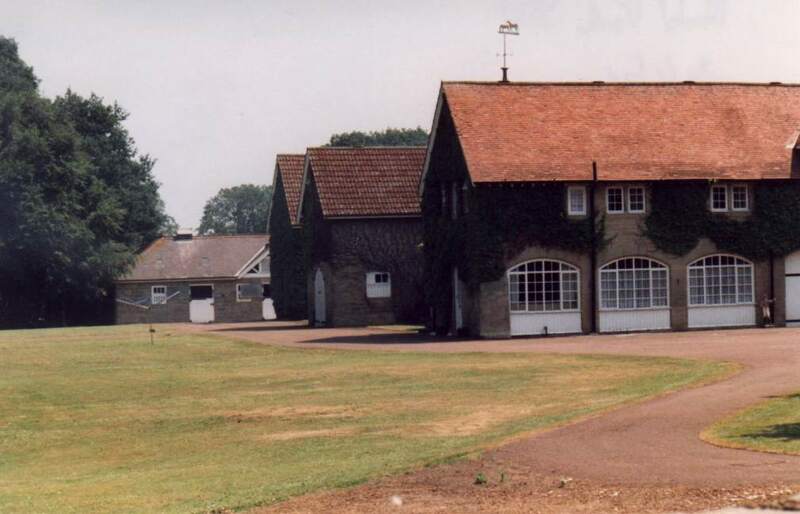 The family had previously owned Bottisham Heath Stud near Newmarket (sold to Bob Cowell). Here they had bred Crews Hill (Stewards Cup L winner, second in the Cork & Orrery S G3, £140,000), Current Raiser (Lupe Stakes L, 2nd.Ribblesdale Stakes G2) and Hays (4th Stewards Cup). Trainer Maurice Camacho was employed as the manager of Nidd (later succeded by stud groom Derek Clements) and their success during their relatively short stay at Nidd was to eclipse that of their previous efforts by some considerable margin. This was largely due to the mare Pato (1982 f by High Top - Patosky) a full sister to Crews Hill and a winner of 4 races who was also placed second in the Garrowby Stakes L. Her first foal was a minor winner by Petoski, the next managed to be placed and her third foal, a filly by Warning called Threatening, won two races and was placed in the Maska Stakes L. In 2001 she was dam of Mutinyonthebounty who won the Royal Lodge S G2. Officially bred by Lord Victor Matthews the fourth foal, born in 1992, was Classic Cliche by Salse. Sold as a foal by Nidd Park for 13,500 guineas he was pinhooked and resold the next year for 85,000 punts. A winner at two he developed into a top class horse the next year following up a seasonal debut win in the Dante Stakes G2 and a second place in the King Edward VII Stakes G2 with a fine win for Godolphin in the St.Leger G1 becoming the first Yorkshire bred St.Leger winner since William Behrens' (Swinton Grange Stud) Peleid won the 1973 race (although of course this honour later transferred to Bollin Eric). The following year wins in the Yorkshire Cup G2 and Ascot Gold Cup G1 were followed by an excellent second place to Pentire (bred by Garrowby Stud) in the King George VI & Queen Elizabeth II Stakes G1, giving Yorkshire a one-two in England's premier weight for age contest. The next year was bound to be an anti-climax but he did win the Prix Kergorlay G2 and was second in the Ascot Gold Cup G1 and the Goodwood Cup G3. In total he won £677,757 and six races before retiring to Wood Farm Stud at a fee of £2,500. 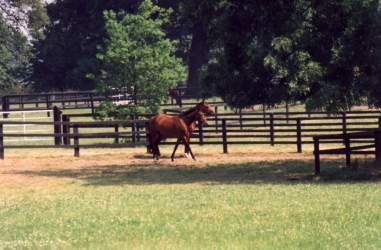 In 1993 Pato foaled a filly by Marju. Unlike Classic Cliche this foal was retained and raced under ownership of Matthews Racing and Breeding. Named My Emma (after Ian Matthews daughter) she was unplaced in her only start at two. Fifth in the Lancashire Oaks on her reappearance she was placed third in the Prix de Psyche G3 having won a Newmarket maiden in-between. Starting at 30-1 she then won the 1996 Prix Vermeille G1 on her next start and was then put away for the season. The following year she succeeded in the Yorkshire Oaks G1 as well as being placed third in the Prix de Psyche G3. In all she won three times and £219,137. Having started breeding in the early 70's the Matthews family therefore suddenly struck major success in the space of a couple of years, with two dual group one winners. However given the small price achieved for Classic Cliche the only real financial reward was My Emma's prize money. Pato later foaled Mediterranean won who the 2001 Tote Ebor Handicap. In 1996 Ian Matthews won the HJ Joel Silver Salver for Broodmare of the Year for Pato. The other top class horse bred by the Matthew's family (this one technically by Lady Matthews) whilst at Nidd was Tedburrow (Dowsing - Gwiffina by Welsh Saint) and in June 2002, at the age of ten, he won the Chipchase Stakes G3 for his twenty-first victory in eighty-one starts, which has netted him £303,845. His other major wins are the Flying Five G3 at Leopardstown in 1998 and 1999 and six listed wins in England. Tedburrow is the sort of tough, consistent horse that anyone would be happy to own or breed. Finally the family also bred the useful Doyce (Formidable - Current Raiser) during this time. Foaled in 1989 this grand staying mare (whos dam won the Lupe Stakes) won 3 races including the 1994 Chester Cup, and was placed numerous times including second in the Ascot Handicap of 1993, and third in the same race the following year. Her younger brother by two years, Current Express, won the Novices' Hurdle Final Handicap at Cheltenham for Lord Matthews in 1992. The Matthews family had, at different times, between a dozen and twenty mares at Nidd, including a small number of boarders. However Nidd Park Stud was advertised for sale in September 1994 with the main farmhouse, cottage, lodge, 35 loose boxes and 170 acres, of which approximately 140 acres were paddocks, the guide price was £850,000. So in only seven years at Nidd the Matthews' had managed to breed 3 group winners, including a classic winner! 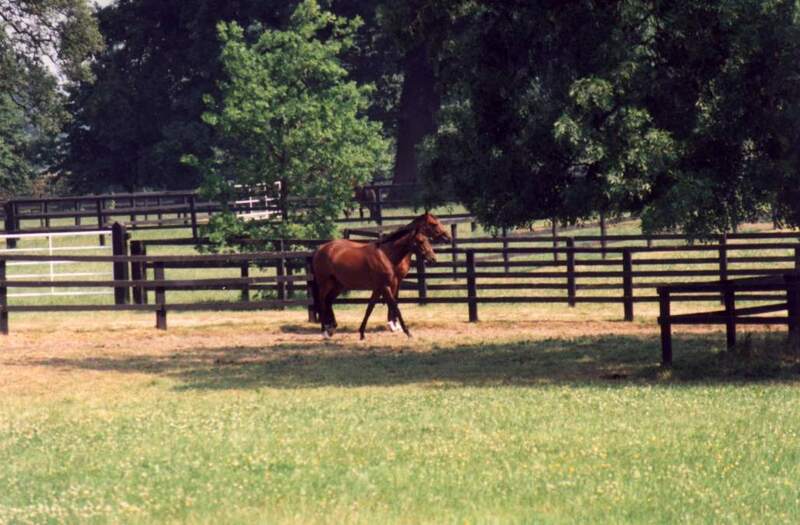 The Matthews mares had moved to Brook Stud, Newmarket as boarders. By July 1995 this price was dropped to £750,000 and the property was eventually sold in 1996. Some time later the lodge was sold off and in April 1998 the stable yard was put on the market with planning permission for conversion to five dwellings, this has now been finished and the stables are no more. The farmhouse is currently being extended (into the stableblock!) but sadly it looks as if this land will never again be used for bloodstock breeding. After Brook the Matthews family moved their bloodstock to Newmarket's Lanwades Stud for about eight years, however the remaining mares (which include My Emma) are to be dispersed at the 2005 December Sales.